I'm going slightly mad with these kind of bags recently. The funny/bad thing is that you can see literally everything that a girl can carry in her bag. You have to be sure of not carry personal things (or carry them in a small bag). This is from Minusey. What do you think about this? Yes or not? I like it, but would never use it. What's in my handbag is sort of privat ;-). I really want one like this! Hello happy day. lovaly bag. is so cute. I actually had one of these when I was small (I mean really small) when all I had to carry was a wallet, sweets and lipgloss. I like the transparent bag in an evening clutch bag, isn't it funny how people just stare at the contents when you're wearing one of these? 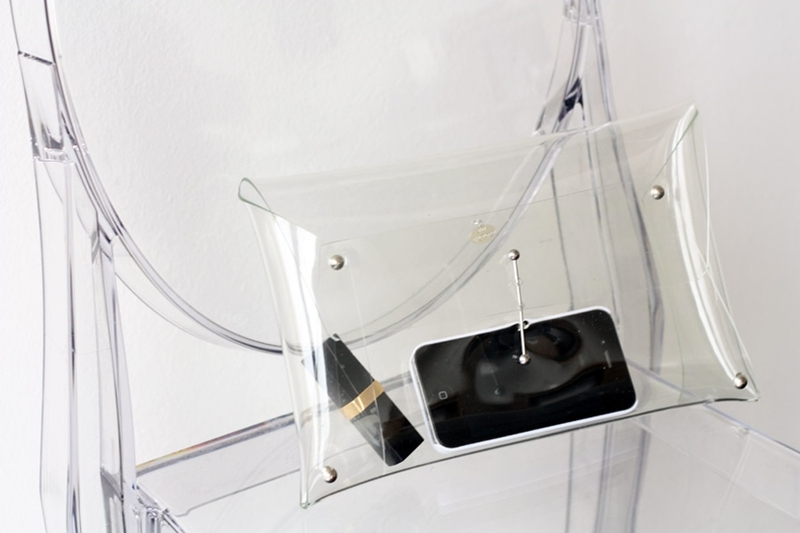 I love transparent bags. Very chic and cool.